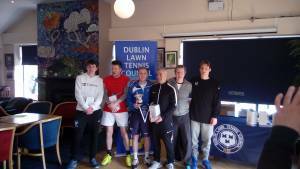 NaasLTC is committed to competing in the DLTC leagues, including Winter, Summer, Floodlit, Mixed and Senior. We enter as many teams as possible – with the number of teams growing year over year due to the demand of our players. The Dublin Lawn Tennis Council runs inter club tennis leagues in the greater Dublin area. The Council has been in operation since 1902 when Men’s Summer League commenced with 12 Clubs. Ladies Summer League started in 1911. The Council is made up of active tennis members from Clubs in Dublin. Over 70 Clubs participate in the Leagues. The DLTC website is viewable at www.dltc.net.